Tell Me More About Fetch! What is a Fetch! Pet Care® franchise all about? Fetch! Pet Care® is the nation’s largest franchised provider of professional dog walking and pet sitting services. Our franchisees operate locations from coast-to-coast and employ Pet Care Providers who provide recurring service to pets and their clients. We offer an operating system and support services for part-time operators in the rewarding pet care industry. Our franchise gives individuals the professional edge to outpace the competition. Training and materials cover virtually all aspects of operation including operations, sales, marketing, accounting, legal and human resources. Our proven franchise business opportunity can be operated from your home, requires little capital investment, and can provide a supplemental income along with a fun, flexible and healthy lifestyle. What services are offered by Fetch! Pet Care®? We provide a variety of professional, reliable and compassionately delivered pet care services tailored to meet pet owner’s varied needs, including private dog walks, daily pet visits, puppy care and almost overnight care. What is the overall demand for pet care services? Consider that last year pet owners spent over $69 billion on the positive welfare of their furry friends, which is double of just a decade ago! The pet products and services industry is the 7th largest retail sector in America – ahead of the retail toy, candy, jewelry and hardware retail industries! Last year, Americans spent more on their pets than movies, video games and listening to recorded music combined. The demand for specialized pet care services is far greater than the supply of professionally trained and qualified providers, and this gap widens every year as the industry struggles to keep up with the number of new pets. Also, pet lovers wanting the best care for their pet are moving away from kennels and boarding facilities and embracing all that at-home pet care has to offer. Will I have an exclusive Target Area in which I operate my franchise? Yes, we design a 50,000 household Target Area as an exclusive territory in which we will not operate or grant franchises for another Fetch! Pet Care franchise. What is the Client Concierge Center? The Client Concierge Center™ (CCC) is our full-service logistics center that gives you what you need to Make Fetch! Happen™. Our Pet Care Coordinators are dedicated to providing great service to your clients as they onboard them for their first service and match them to the best Pet Care Provider to meet the needs of their pets. Having the support of this team allows you to focus your time and energy on recruiting, training and mentoring your team of Pet Care Providers and building relationships in your community to attract new clients. Will I need employees for my Fetch! Pet Care franchise? Yes. Initially, an owner-operator of a franchise will typically perform the services themselves or hire a small number of part-time Pet Care Providers to perform all of the dog walking and pet sitting assignments. As the business grows, and as you build your client base, more part-time employees will be necessary. As part-time employees, you only pay them for the time they actually perform the pet care assignments. During training, we teach you how to recruit, train and motivate your team. Who does Fetch! Pet Care compete against? People often ask how Fetch! Pet Care is different from the pet apps. The answer is simple: Fetch! Pet Care is a local provider of professional dog walking and pet sitting services…and we have a great app! Unlike the pet app provider option, who have no relationship with the people on their platform who care for the pets, each Fetch! location is locally owned by a franchise owner who personally recruits, manages, supervises and motivates their team to ensure outstanding service for the pets. They are there as a local backup for their team and clients when needed. We also have a Client Concierge Center which is our full service logistics center that supports you by personally matching every client to their Pet Care Provider. And, lastly, we have our own pet care app with features that rival leading pet app providers. The proof is in the results. Fetch! averages 4.7 stars out of 5 stars on Yelp and other sites where negative reviews cannot be removed, while the leading pet app providers average only 1.5 stars out of 5 stars on sites such as Yelp and ResellerRatings.com. Fetch! Pet Care is setting the bar for providing the highest quality level of pet care service in the country and, as a result, is carving out a unique niche in the marketplace as a specialty service provider alongside the pet apps. What would be my daily role as a Fetch! Pet Care franchise owner? Because our Client Concierge Center handles all of your new and existing client requests for dog walking and pet sitting services and personally dispatches them out to your staff of Pet Care Providers, as well as handling all billing and collections, you are freed up from managing the front line of service. As such, your role as a Fetch! franchise owner is to market locally to attract new clients, and to recruit, train and mentor your staff of Pet Care Providers who will provide the dog walking and pet sitting services to your clients. This means you only need to invest about 20 hours per week towards operating your franchise, which you can do at various times of the day or week, including in the evenings or weekends. This frees you up to work your existing job as your primary income as your business grows, or to spend more time with your family or on your hobbies. Will I enjoy being a Fetch! Pet Care franchisee? We certainly hope you will. Talking with our team at the Franchise Support Center and a few of our franchisees will give you a better idea if we are a good fit! What is the notice regarding franchise offerings and sales? a. This information is not intended as an offer to sell, or the solicitation of an offer to buy, a franchise. It is for information purposes only. There are approximately 14 countries and 15 US states that regulate the offer and sale of franchises. The countries are Australia, Brazil, Belgium, Canada (provinces of Alberta and Ontario), China, France, Indonesia, Italy, Japan, Malaysia, Mexico, Russia, South Korea, Spain, and the United States of America. The US states are California, Hawaii, Illinois, Indiana, Maryland, Michigan, Minnesota, New York, North Dakota, Oregon, Rhode Island, South Dakota, Virginia, Washington, and Wisconsin. If you are a resident of one of these states or countries, are receiving this message in one of these states or countries, or intend to operate a franchise in any of these states or countries, we will not offer you a franchise unless and until we have complied with any applicable pre-sale registration and/or disclosure requirements in the applicable jurisdiction. c. OUR WEBSITE HAS NOT BEEN REVIEWED OR APPROVED BY THE CALIFORNIA DEPARTMENT OF CORPORATIONS. ANY COMPLAINTS CONCERNING THE CONTENT OF THIS WEBSITE MAY BE DIRECTED TO THE CALIFORNIA DEPARTMENT OF CORPORATIONS AT www.corp.ca.gov. How much money do I need to become a Fetch! Pet Care® franchisee? We require that you have a strong credit history, a minimum $15,000 liquid to invest, and personal net worth of $30,000. What should I expect to spend in the first year? What methods of payment do you accept for the initial franchise fee? We accept check, money order, virtual checking, internal financing available or, if you prefer, you can pay by all credit card. Any special programs for active military or veterans? Leadership skills, perseverance, dedication, commitment to service, sense of teamwork and mastery of systems are all traits that make veterans outstanding franchise owners. Fetch! Pet Care is proud to have successful veterans in our franchise system, all of whom run their businesses in much the same way they served their country — with integrity. We are proud supporters of the International Franchise Association’s VetFran program, so we offer 50% OFF the franchisee fee for men and women (and their spouses!) of the armed forces who are honorably discharged or active members of the military. Beyond that, we have a deployment guarantee for active military members. This guarantee permits franchisees who are deployed outside of their Target Area to sell their franchise and/or terminate the franchise agreement without penalty. This guarantee also provides forgiveness of the balance of any note delivered to us for payment of the franchise fee. Are there any ongoing payments to Fetch! Pet Care®? Yes, the royalty fee is 7% of sales. The Franchise Support Fee, which includes a fully integrated Client Concierge Center to handle client calls and Pet Care Coordinator scheduling, national website with local micro-site, communication systems, national brand development fund contribution, and more, is 11% or a minimum fee for sales above $100,000 per year, 15% or a minimum fee for sales under $100,000 per year. The franchise fee is $6,000 for a protected territory with a target area of 50,000 households. This can be financed for 60 months at 12% APR. Financing is subject to credit and background checks. The range of services and support that Fetch! Pet Care offers is only part of what makes our franchise owners competitive in their communities and profitable in their businesses. The other key part to profitability is the level of engagement that Fetch! franchise owners have with their communities. We encourage our franchise owners to actively network in their communities to recruit clients and Pet Care Providers. Our most successful franchise owners are involved with local marketing, partnerships, networking groups, and active giving back to pets in the communities they serve. Are there any guarantees that this will work? There are no guarantees in business or life, but Fetch! Pet Care® does offer a money back guarantee on your paid in Initial Franchise Fee. Contact us for more details! Does Fetch! Pet Care® offer financing? Yes! You can finance the entire franchisee fee which is $6,000 for 60 months at 12% APR. This offer is subject to credit and background checks. Please review our financing tips for more information on how to further fund your Fetch! Pet Care franchise. What qualities help Fetch! Pet Care® franchisees succeed? Loves pets – never met a pet you didn’t want to give a good belly scratch! Having operations, management, or even previous business ownership experience is also helpful, but not required to own and operate a Fetch! Pet Care franchise. Can anyone become a Fetch! Pet Care® franchisee? We go through a very thorough selection process to ensure that we are right for each other and will enjoy working together over the next several years as you bring the Fetch! Pet Care® brand to your community! Why is the Fetch! Pet Care culture so strong? At Fetch! Pet Care, we believe being the best professional dog walking and pet sitting franchise in the country relies on sharing in the same foundational and cultural beliefs. Play: We believe that caring for pets is fun, and we love our job so much that it doesn’t feel like work. Life is more enjoyable when we are engaged with clients, pets and each other! Purpose: The service we provide is important to our client and their pets; they rely on us to do what we say we are going to do. As a brand, Fetch! Pet Care is involved in the community. We care for and support pets and people through charitable causes and events. We invite everyone to be a part of the Fetch! culture! Profit: A franchisee invests their time and energy and should be rewarded for that effort. Pets: We believe pets are an integral part of families and deserve the best care possible. We are educated and experienced about how to best care for cats and dogs and are always looking for ways to improve the experience for the pets. 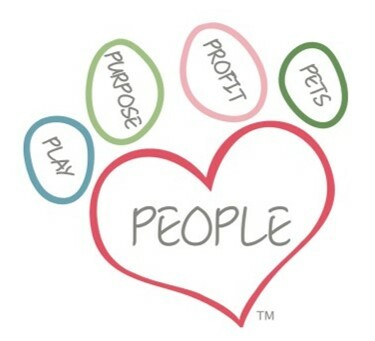 People: We train and educate our Pet Care Providers, recognize their accomplishments, know they are our #1 brand ambassadors and we want them to like working for Fetch!. We seek to make our franchisees successful and are heavily involved in each other’s growth. We strive to make our client’s lives easier, build trust and accountability, and alleviate their feelings of guilt when they can’t be with their pets. What type of training and support does Fetch! Pet Care® offer to franchisees? The company offers in-person training at our Franchise Support Center in Dayton, Ohio. Franchisees receive easy-to-follow manuals, online training, marketing and staffing plans, budgets and additional materials to help you start and operate your Fetch! Pet Care® franchise. Some of the topics include Basic and Advanced Pet Care Techniques, Marketing, Customer Service, Operations, Human Resources and Financial Management. You’ll have ongoing training and support through weekly coaching calls, our online training platform, a toll-free support line and the Fetch! Support intranet with online resources and discussion forums. We can tailor your support to suit your individual needs as you set up, open and expand your business. Why shouldn’t I just open a pet care business on my own? Opening your own business is hard work and is prone to making many mistakes, which can be both costly and frustrating. Your business success relies on you knowing all facets of business and making sound choices. That’s a tall order and that’s why 9 out of 10 small businesses fail. Franchising allows you to be in business for yourself, but not by yourself. One of the many benefits of being a franchisee is you can avoid many of the pitfalls involved in starting up and running a business on your own. You will be part of a nationally recognized brand with a tried and tested business model. You will receive an initial education and ongoing training from skilled professionals with years of business and pet care experience. You will gain access to systems, programs and materials that can accelerate your time to market and help you provide a higher level of service than competing pet care businesses in your territory. You’ll enjoy the benefits of a growing nationwide network of franchisees who share ideas and experiences. In short, becoming a Fetch! Pet Care franchisee is more cost and time effective than going it on your own. You’ll preserve your sanity, and have more free time to enjoy the good things in life while you work on your business, rather than being consumed by your business. Will Fetch! Pet Care assist me with marketing my franchise? Can I see Fetch! Pet Care® in action? Of course! You are welcome to spend time with our franchisees, meet some of their Pet Care Providers, and speak to their clients to see if Fetch! Pet Care is a good match. What is the process of becoming a Fetch! Pet Care® franchisee? Our franchise process is designed to ensure that both parties have evaluated one another to make an informed business decision before entering into a franchisee relationship. Please refer to our Pathway to Ownership for our steps on becoming a Fetch! Pet Care® franchisee. How can I get a copy of Fetch! Pet Care’s Franchise Disclosure Document (FDD)? To receive a copy of Fetch! Pet Care’s Franchise Disclosure Document (FDD), please submit our Information Request Form, and you will begin our franchise evaluation process. If you would like to speak with a representative now, call 855-813-3824. How long does it take to open a Fetch! Pet Care franchise?